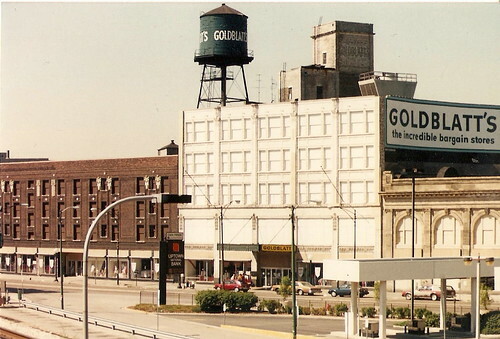 Plymouth Hotel/Goldblatt's, a photo by Jonie Snake on Flickr. This is pretty much how I remember this stretch looked when I first moved to Uptown. A bit of the decorative terracotta that once graced the facade of the Plymouth Hotel can be seen in the lobby of the condo building that replaced it. Image from Flickr using the "Share on Blogger" feature. Didn't the city approve a plan to turn three dilapidated buildings in the Uptown Square Historic District into condominiums and retail space? Did they demolish the Plymouth Hotel that was built in 1912?